NEW YORK  An Orthodox social justice group dropped its boycott of the embattled kosher meat producer Agriprocessors, saying the company is beginning to take significant steps to address claims of worker mistreatment at its plant in Postville, Iowa. Uri Ltzedek launched the action in mid-June to protest reports that Agriprocessors had employed underage workers, tolerated an atmosphere of sexual harassment and paid workers below the minimum wage. In calling off the boycott, the New York-based group said it was encouraged by reforms instituted by a former federal prosecutor hired recently as the companys compliance officer. In light of these early signs of reform, Uri LTzedek is no longer calling for the community to abstain from purchasing Agriprocessors products, the group said in a letter Tuesday. The move by Uri Ltzedek represents the first bit of good news in a while for Agriprocessors, which has been reeling since federal authorities carried out the largest workplace immigration raid in American history in Postville on May 12. More than one-third of the companys workforce was detained in the raid, including 18 juveniles. Some 300 employees have pleaded guilty to various forms of identity fraud and are facing deportation. Since the raid, workers have unleashed a flood of allegations against their former employer, saying they were mistreated, sexually harassed and made to work lengthy overnight shifts. The raid also severely impaired the companys production capacity, sparking fears of a kosher meat shortage in the US. In response, Agriprocessors announced it would replace Sholom Rubashkin  the son of the companys founder and owner  as head of the Postville plant and hired James Martin, the former federal prosecutor, as its compliance officer. According to the Uri Ltzedek letter, Martins reforms include the creation of an anonymous tip line for employees, establishing a safety department and developing new safety training initiatives. The Uri Ltzedek announcement comes just days after the arrest of two plant supervisors on charges of aiding and abetting the use of fraudulent identification. Juan Carlos Guerrero Espinoza and Martin De la Rosa Loera are the first supervisory workers to be charged. A third warrant was issued for another supervisor, Hosam Amara, a 43-year-old said to be of Palestinian origin, who was rumored to have fled Postville the week after the raid. To date, no charges have been brought against Agriprocessors owner, a Chabad-Lubavitcher from Brooklyn, or any other members of the companys upper management. But Nathan Lewin, a prominent attorney representing the company, is accusing the US government of selective prosecution in its targeting of the company. The government should be asked why it picked on Agri, a relatively small meat-packing plant, to make its point about illegal immigrants working at such plants, Lewin wrote in a statement to JTA. This is a great injustice in light of the fact that Agri has made a major contribution to Jewish religious life in the US by providing high-quality packaged kosher meats now available in supermarkets across the country. Under the Bush administration, federal authorities have escalated their crackdown on illegal workers. According to the Houston Chronicle, 1,755 individuals were detained in May alone by US Immigration and Customs Enforcement, including 389 Agriprocessors employees. Slightly more than 3,700 illegal immigrants have been arrested in dozens of sweeps since last October, according to the federal government. In a rare example of company owners facing charges related to illegal workers, federal authorities last week charged two owners and three supervisors at a rag-exporting company in Houston with conspiracy to harbor illegal immigrants, inducing them to come into the country and engage in illegal hiring practices. Those arrests follow the June 25 roundup of 166 illegal workers at the company, Action Rags USA. The Houston case bears other striking resemblances to what unfolded in Postville: Both featured months-long undercover investigations involving government informants posing as illegal workers in an effort to gain employment. Like Agriprocessors, Action Rags is facing claims that it employed underage workers and that working conditions were substandard. Representatives of the Houston company have denied all wrongdoing. Agriprocessors has denied the charges leveled against the firm while struggling to repair its damaged public image. The company has hired the high-profile public relations firm 5WPR. In July, 2007, the company recalled about 35,000 pounds of frozen beef and chicken products because the label failed to indicate the foods may contain a known allergen. In January that year, the company recalled about 2,700 pounds of hot dogs due to possible underprocessing. 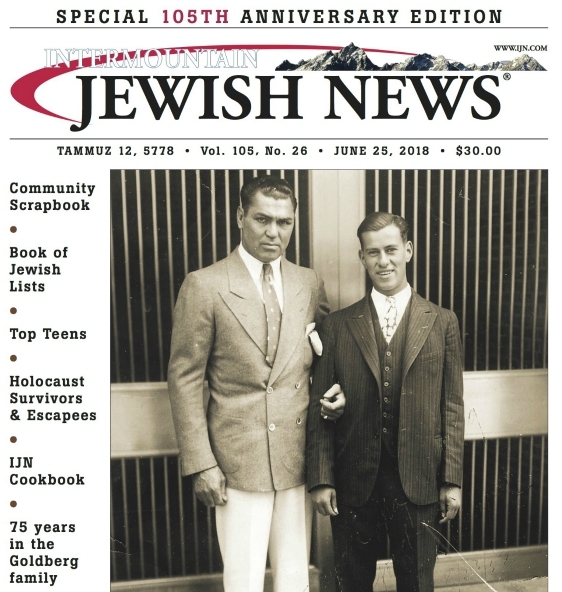 In an interview with JTA shortly after the raid, Rabbi Menachem Weissmandl, the head kosher supervisor, said his rabbinical staff supervised every inch of that place, including non-production areas where non-Jewish workers eat and change their clothes. An Agriprocessors spokesman, Juda Engelmayer, said he believed Mandel was mistaken.